The stationary reaction-diffusion-advection problems, modeling the processes of the transport and chemical transformation of active and passive impurities in the surface layer of the atmosphere, to which the asymptotic methods are applicable (to the problems), are considered. 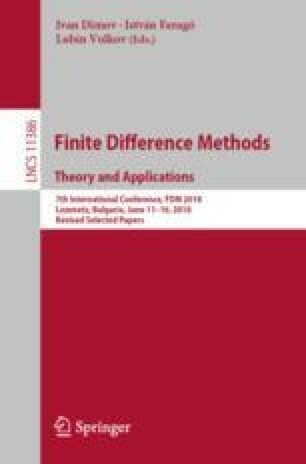 We study the multidimensional asymptotically Lyapunov-stable solutions of the boundary layer type and the contrast structures by constructing the formal asymptotic approximations of an arbitrary-order accuracy based on the boundary-function method. To justify the constructed asymptotics, we use an asymptotic method of differential inequalities. The results of the study are illustrated by the example of the two-dimensional boundary value problem with a cubic nonlinearity. They can be used to create a numerical algorithm that uses asymptotic analysis to construct spatially inhomogeneous mashes when describing the internal layer of contrast structure, and also for the purposes of constructing the test examples. This work was supported by the Russian Science Foundation (project no. 18-11-00042).